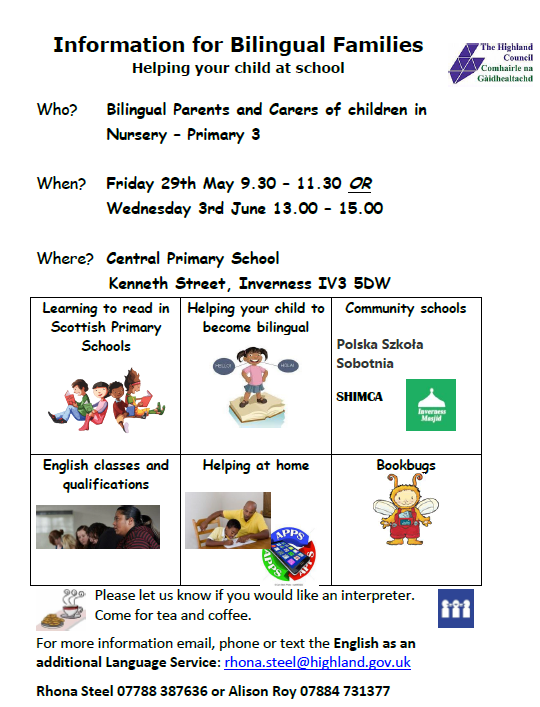 The English as an Additional Language (EAL) team at Highland Council are hosting an event for bilingual families who have children in Nursery to Primary 3. Please share this with parents/carers or contact the EAL team for further information. This entry was posted in Uncategorized on May 15, 2015 by Mr Cook.